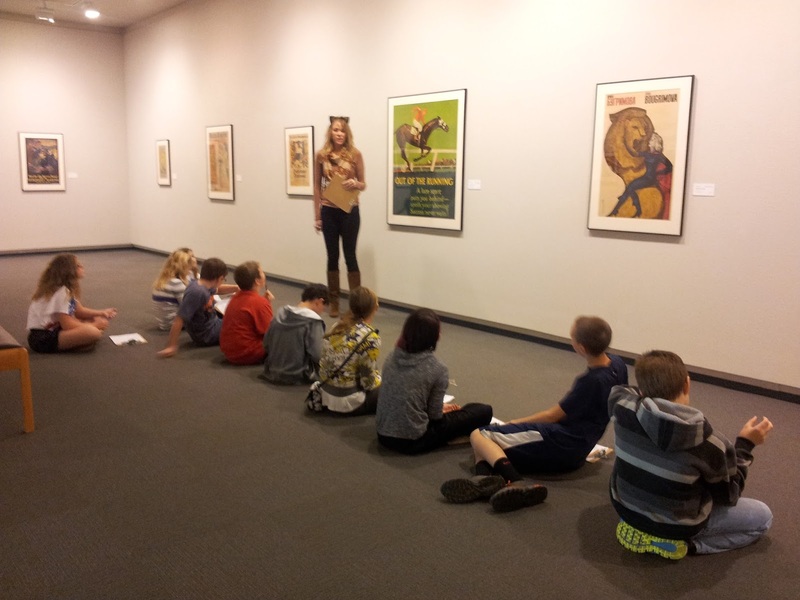 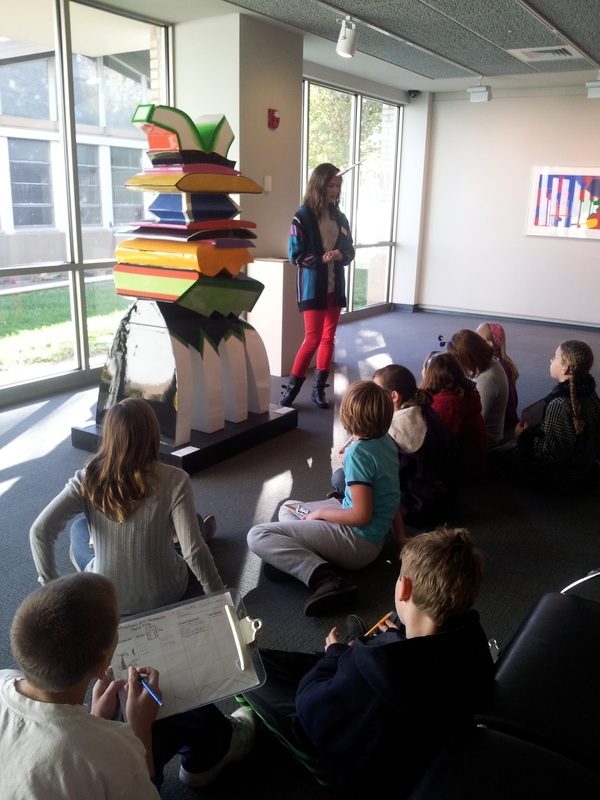 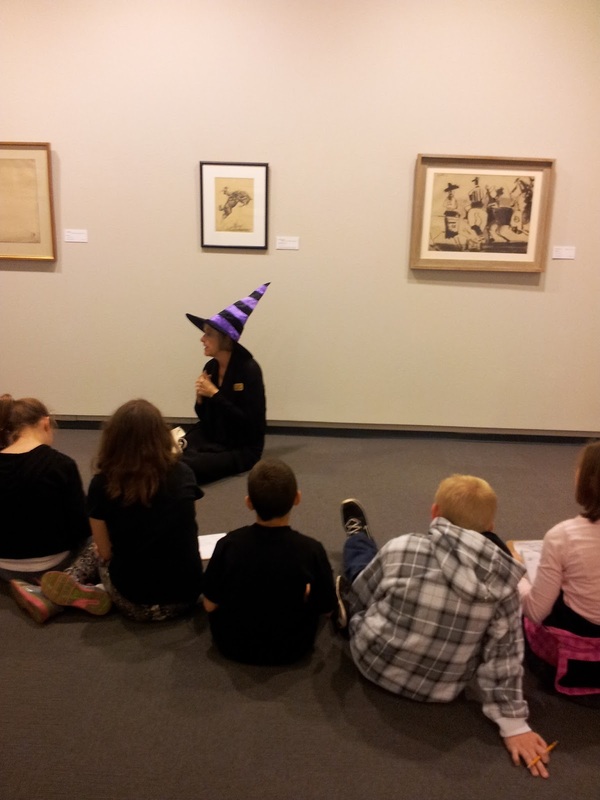 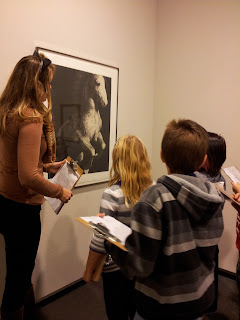 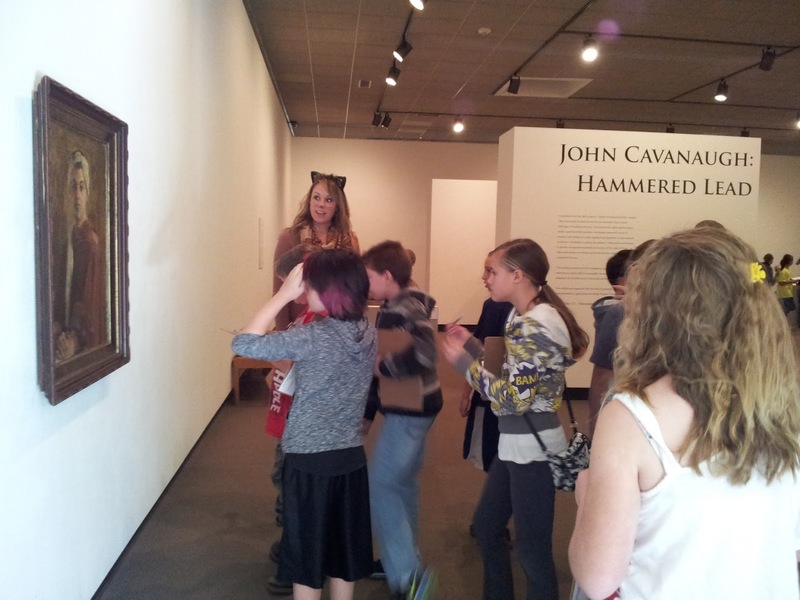 On October 31, we went to the Springfield Art Museum and we observed prints, paintings and we also saw sclptures.Our docents taught us the elements of art line, shape, size/spaceing, texture and emotion.We divided our class in to two parts and our docents led us through most of the Art Museum and it was very exiting! 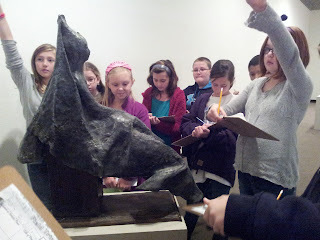 "That sculpture was named 'Stacked' and we tried to guess what it was. 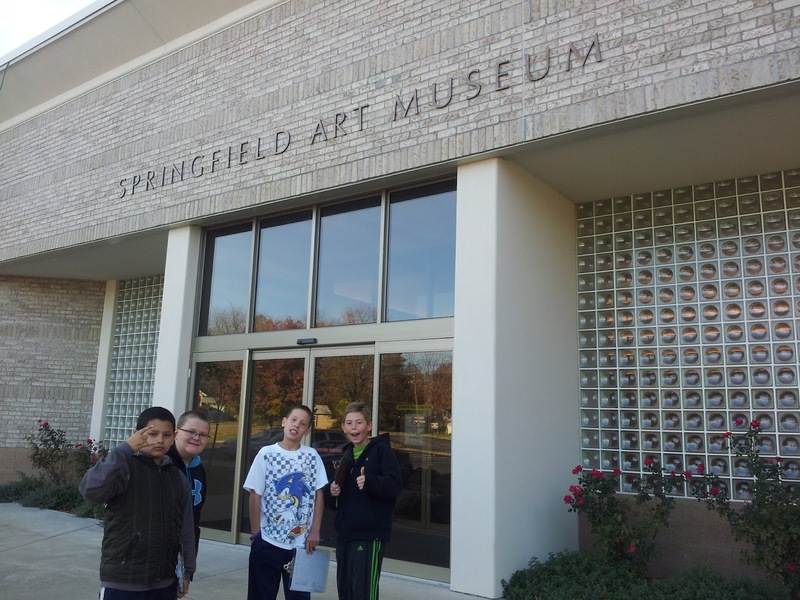 "I was in this group, and the print was named 'Out of the Running' by Frank Beady. "I like this picture because it has a lot of color and shapes and texture. "I liked how the artist used lead to create his sculpture. 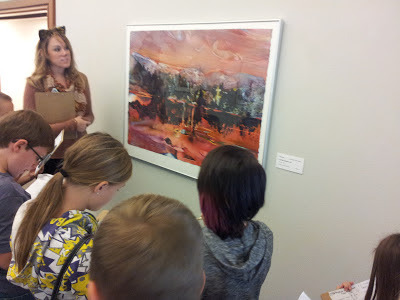 Wow, all that art work looks amazing. 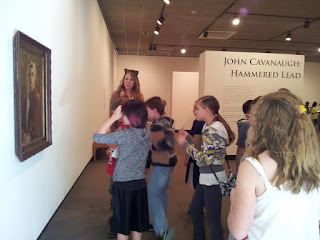 You all look as if you all enjoyed it. exciting time at the art museum.